Soles de Mexicali (LNBP) inked 29-year old naturalized American forward Aaron Fuller (198-107kg-89, college: USC, agency: Haylett Sports). 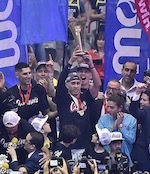 He started the season at H.Galilee in Israeli National League. In 8 games he recorded 13.9ppg, 5.3rpg, 1.5spg and 1.0bpg this season. The last summer Fuller played at NLEX Road Warriors (PBA) in league where in 9 games he averaged impressive 31.1ppg, 16.6rpg, 4.7apg, 1.4spg and 1.0bpg. He was also selected League Player of the Week (2 times). Among other achievements he received Asia-Basket.com All-PBA Governor's Cup Honorable Mention award in 2017. Fuller is a very experienced player. He has quite traveled the world as his pro career brought him to four different continents (Europe, Asia, Latin America and of course North America). Fuller has played previously professionally in Luxembourg (Racing), New Zealand, Portugal (Oliveirense) and Mexico (Fuerza Regia). 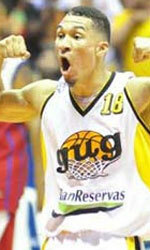 He attended University of Southern California until 2013 and it is his sixth season in pro basketball.